ORLANDO, Fla. — Prescription drug coverage benefits can be confusing at times. 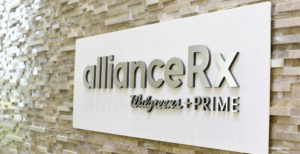 However, nearly half of all adults take steps to manage their drug benefit before the new year, according to a survey conducted by leading specialty and home delivery pharmacy AllianceRx Walgreens Prime. The survey also found room for improvement and many ways people can make managing a prescription easier. Most adults know what to do when it comes to managing their prescriptions. U.S. adults are familiar with managing prescriptions. More than half (57%) of adults surveyed take prescription medicine regularly, with the percentage increasing steadily with age. Nearly three- quarters (73%) of adults manage all or most of the medicine needs for themselves or their family. But, even if they manage their prescriptions themselves, they say that managing prescriptions is almost as hard as doing taxes. Frustration in understanding what prescriptions an insurance benefit will cover is similar to other complicated tasks. Respondents said doing taxes (54%) or setting up a TV or internet connection (47%) was somewhat to very frustrating, compared to understanding which medications are covered by their insurance benefit (48%). People can take steps to make managing prescriptions easier. There is strong willingness to take steps now to avoid issues in the new year. Over half of respondents (52%) say they are likely to start as early as October or November to avoid issues when starting a new health insurance benefit January 1, with millennials showing the greatest likelihood (57%). And, 41% of adults surveyed have already signed up for text and email notifications or reminders from their pharmacy. “We recommend patients take the following five steps to make their prescription experience better and easier,” says Stephens.